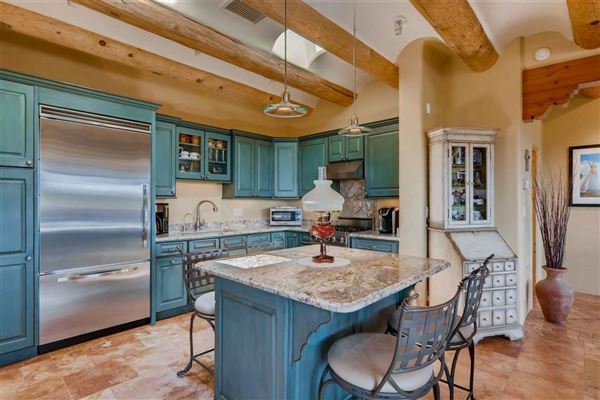 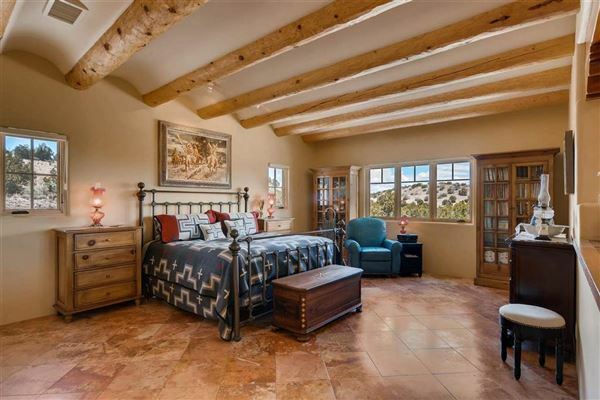 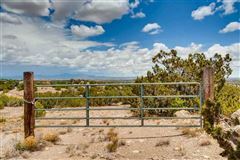 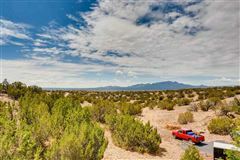 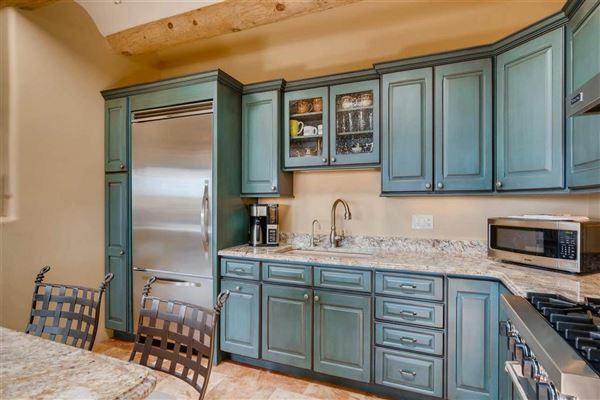 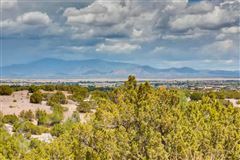 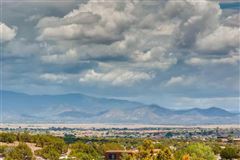 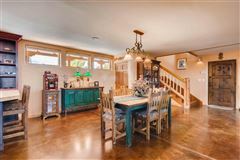 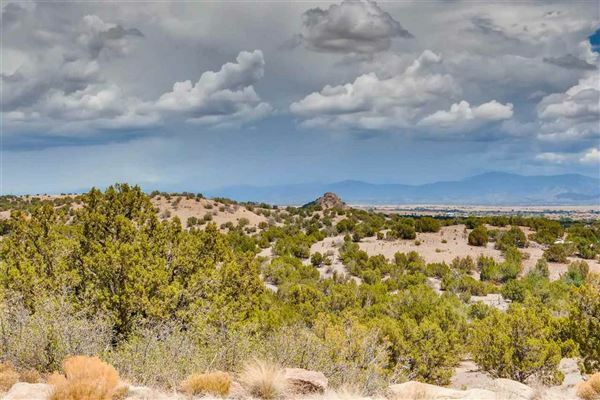 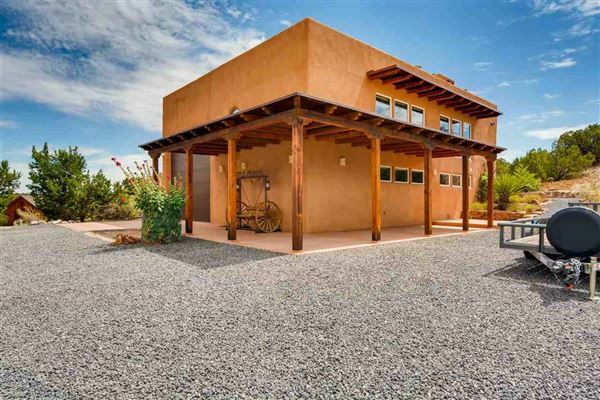 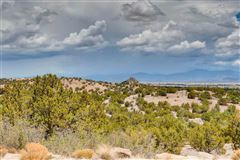 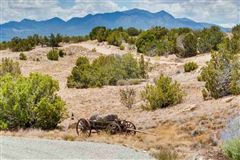 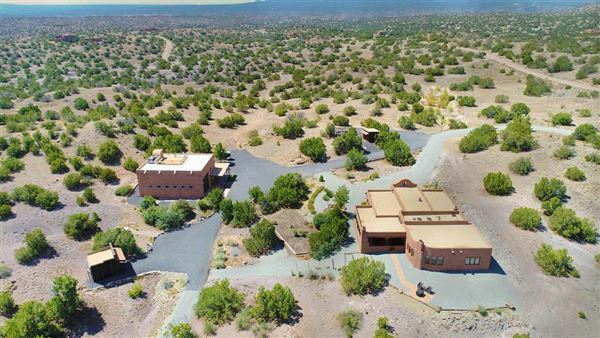 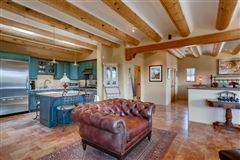 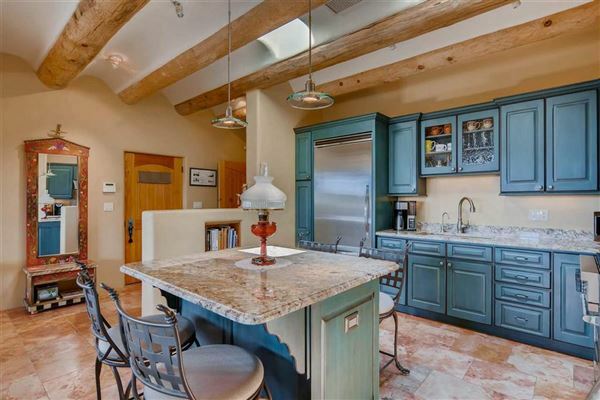 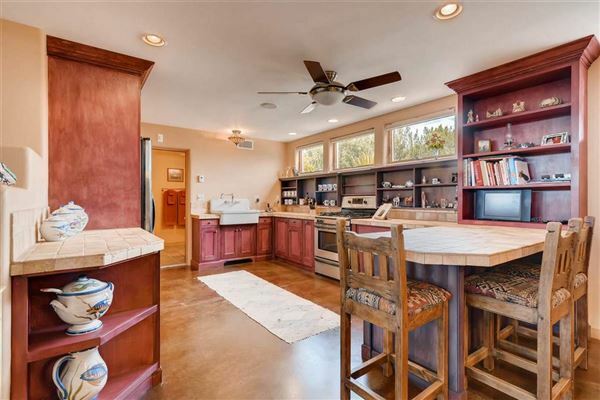 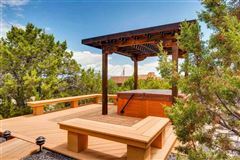 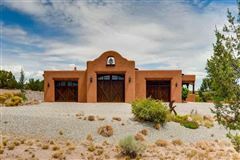 A beautifully appointed gracious home situated in the rolling hills of Turquoise Trails in Santa Fe, a lovely quiet place to rest your heart and soul. 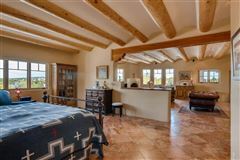 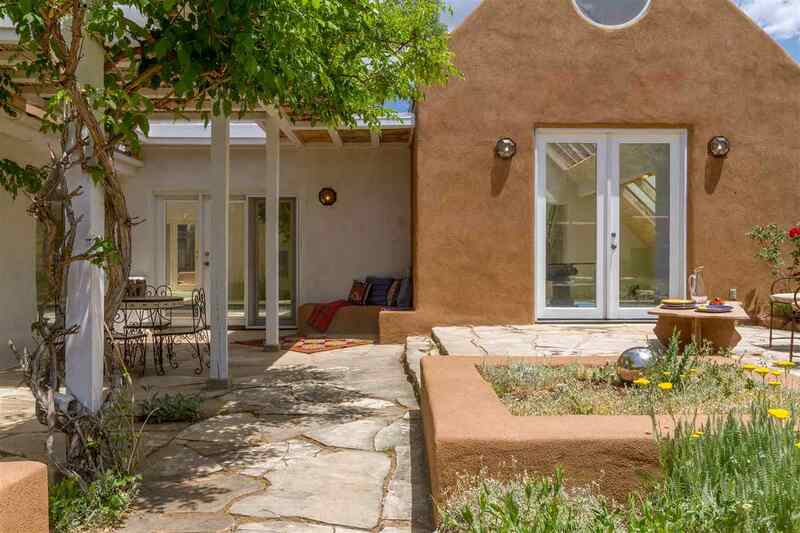 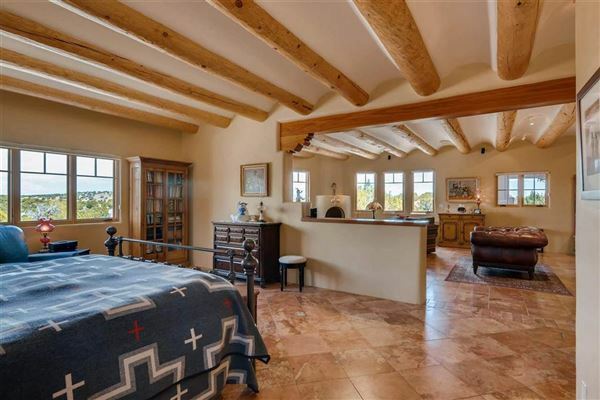 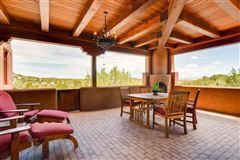 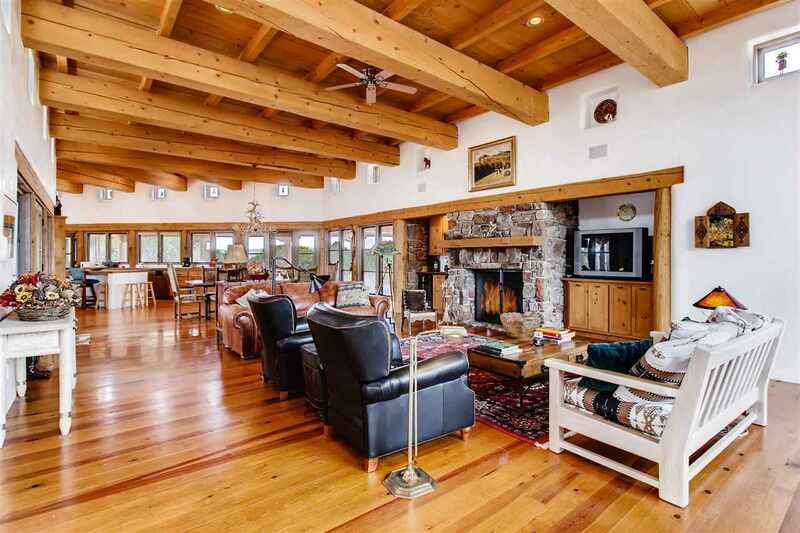 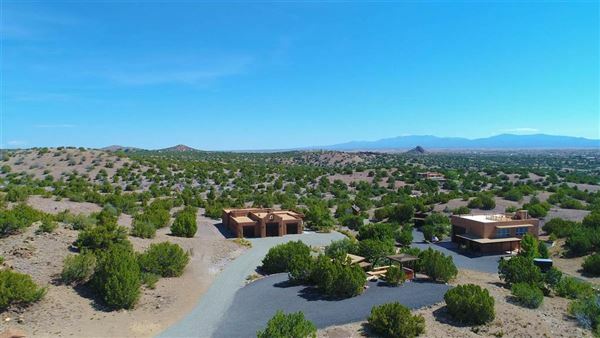 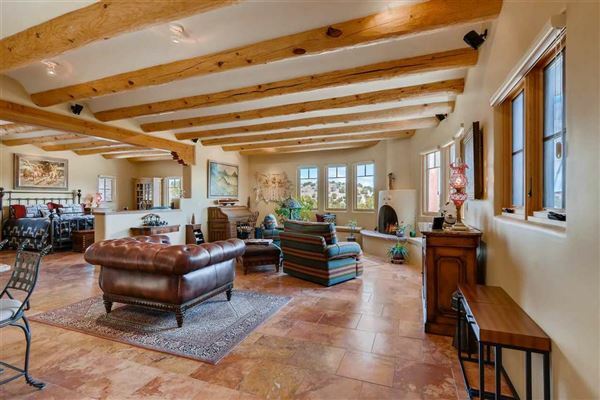 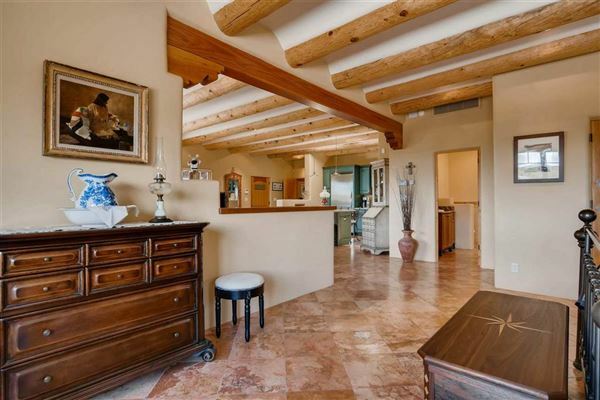 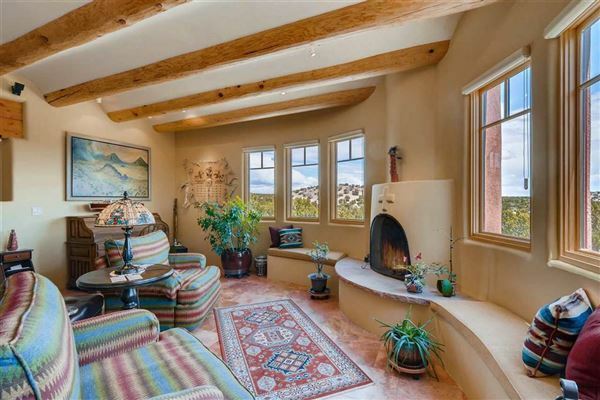 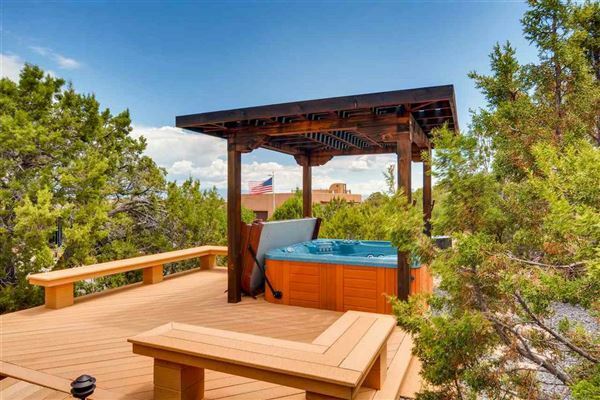 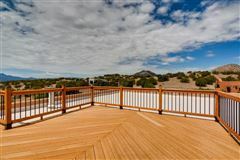 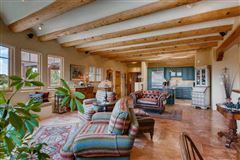 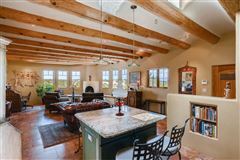 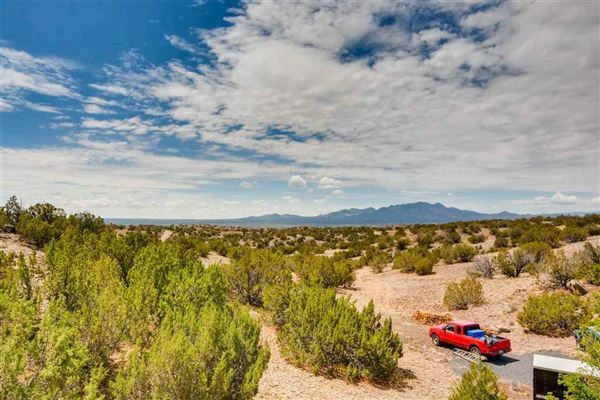 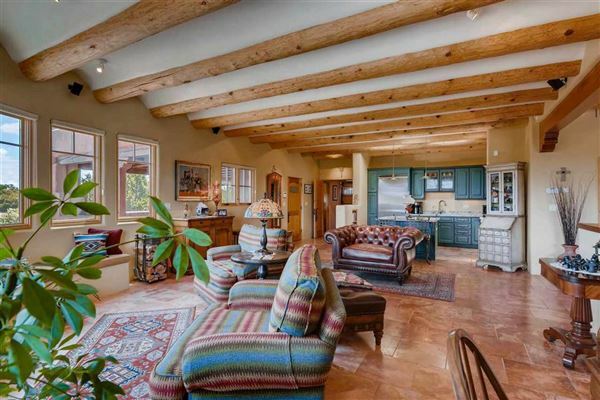 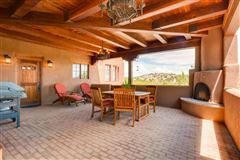 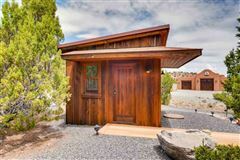 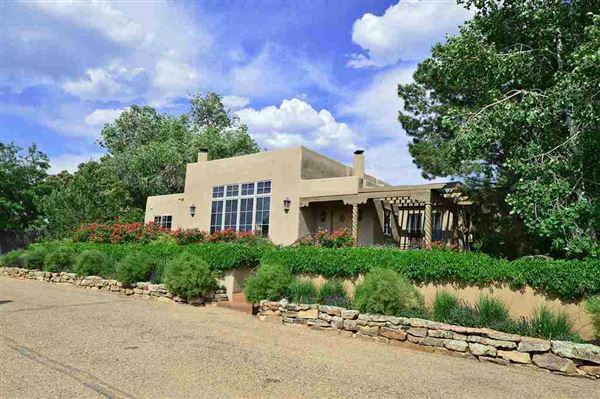 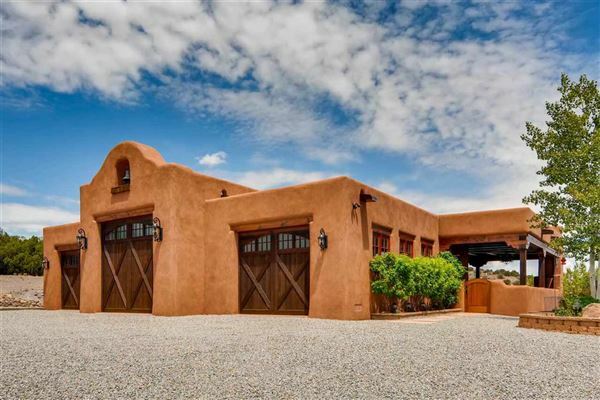 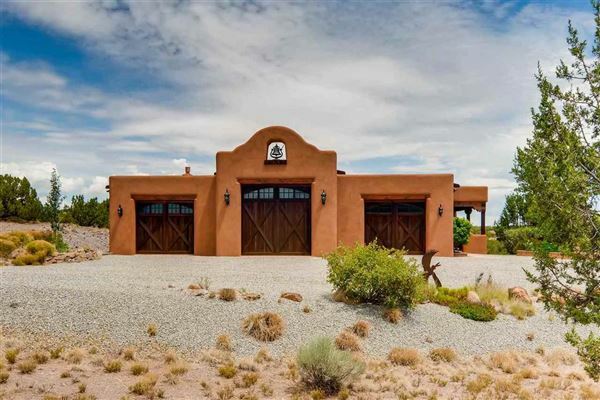 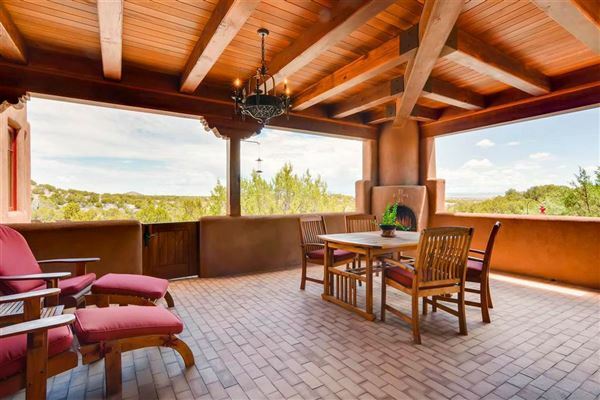 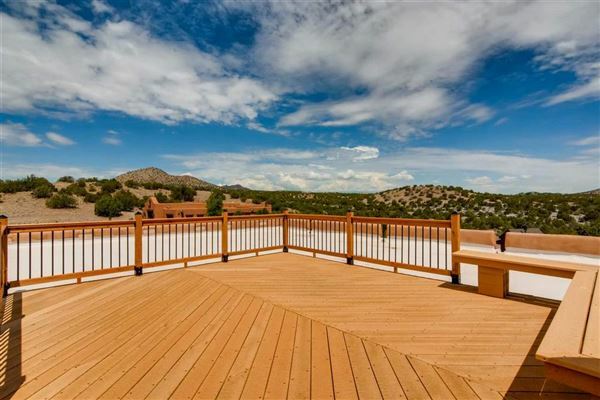 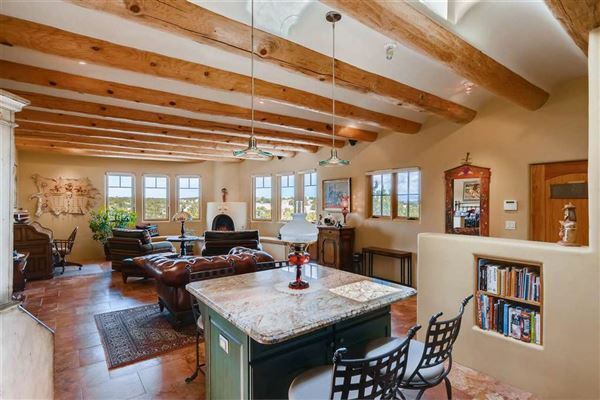 The main house has a gracious entry portal with views of the Santa Fe basin and over 3000 sqft of living area. The kitchen is the heart of the home with top of the line appliances. 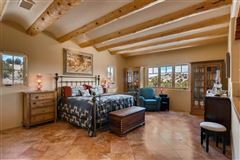 There are Coved ceilings in the Living room and bedroom. 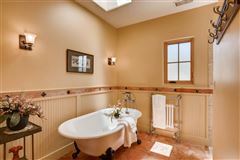 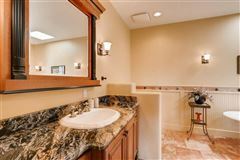 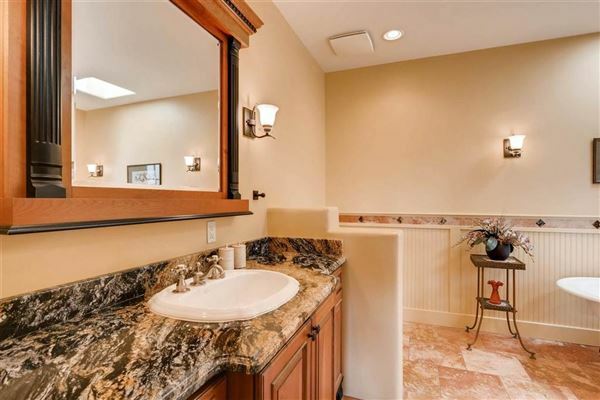 The master bathroom is lavishly appointed and includes a hot water warming towel rack. 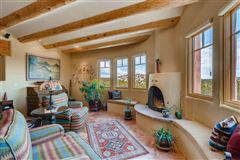 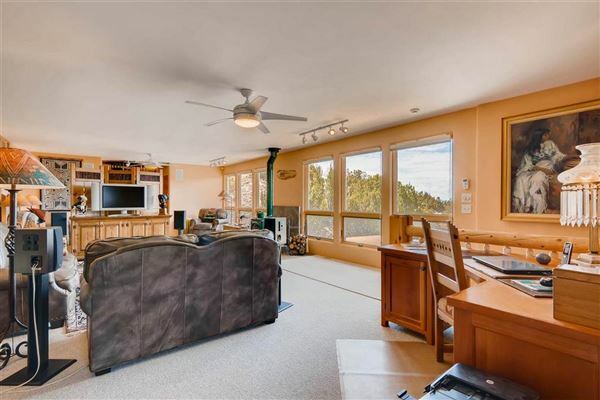 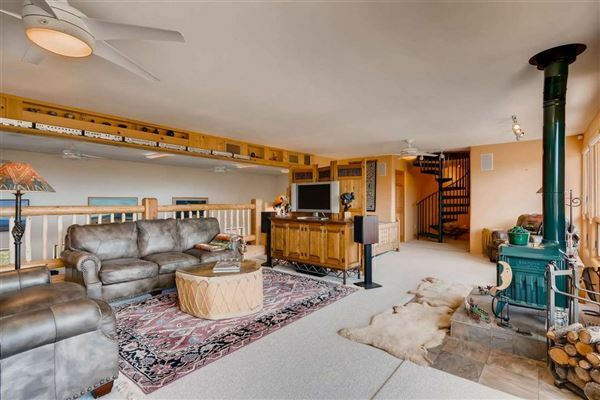 The windows throughout the home offer huge sweeping views of the surrounding foothills and mountains. 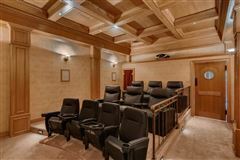 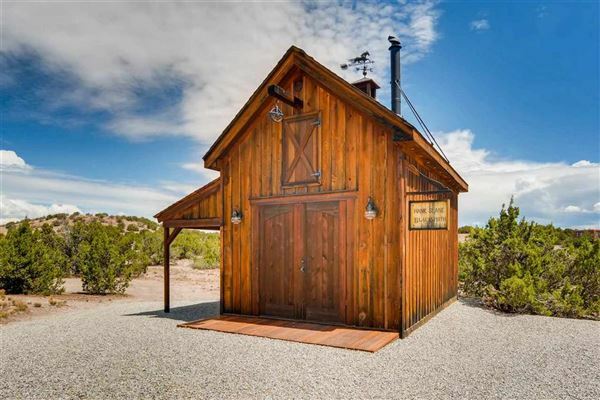 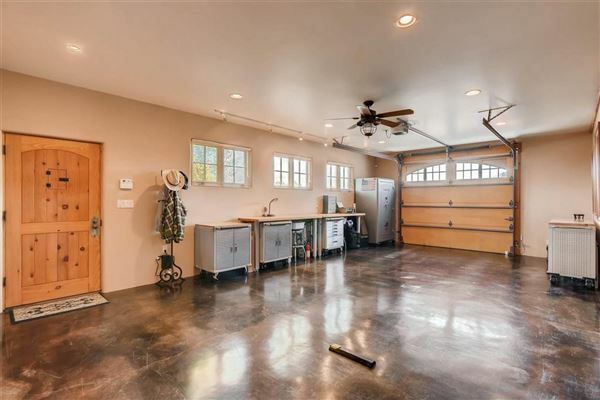 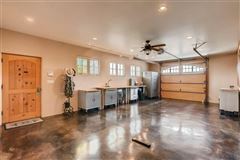 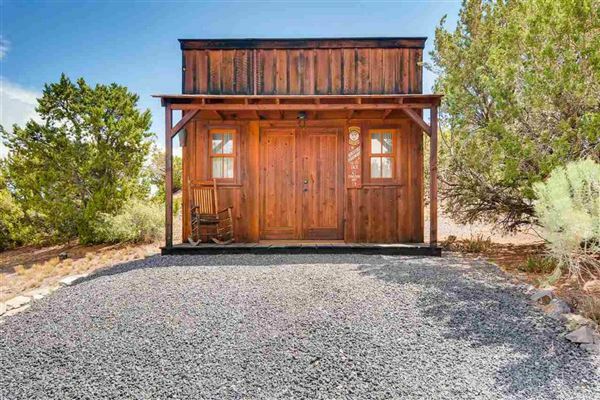 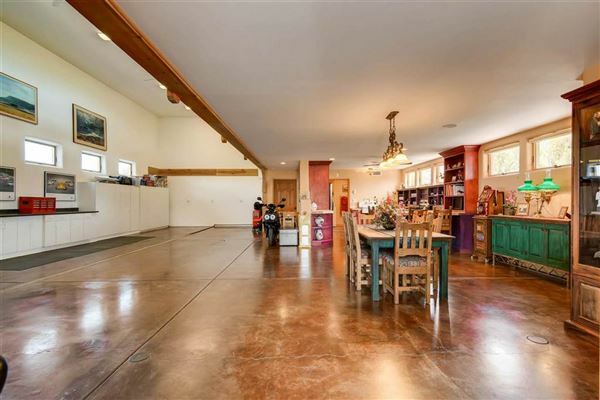 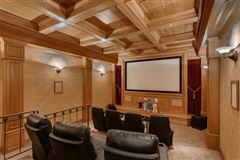 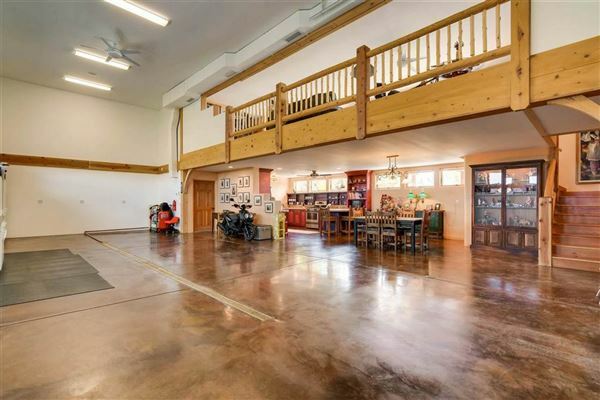 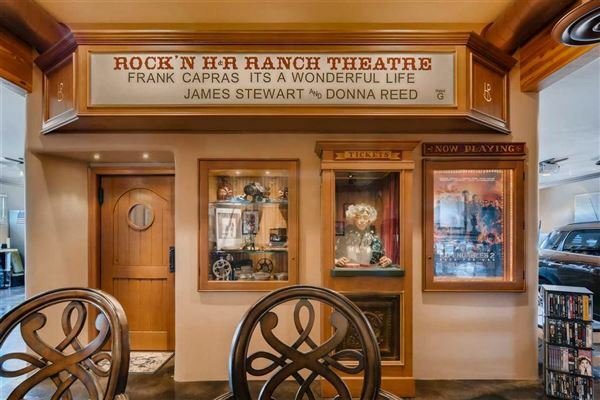 This one of a kind property has a 650 sqft theater which seats ten with a whimsical box office. It features a beautiful wood ceiling treatment and Stars that will leave you in awe! 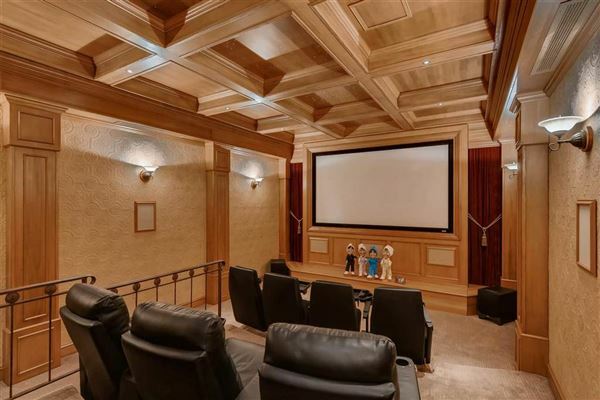 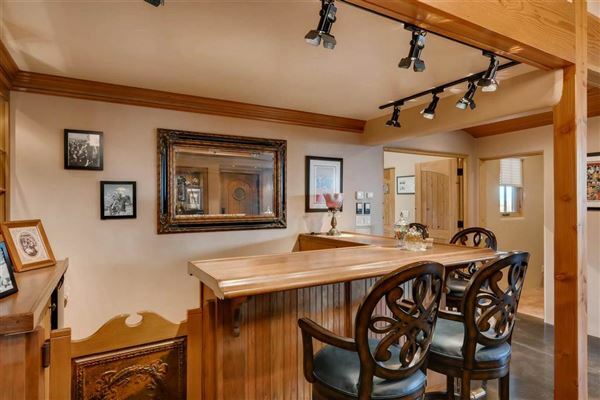 The beautiful built in bar in the theater includes an icemaker and refrigerator. 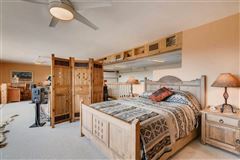 The two-story studio/guesthouse/RV Storage has unlimited potential, just use your imagination! 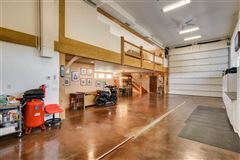 It could be an artist studio, or you could make it a recording studio, really it’s just up to your imagination. 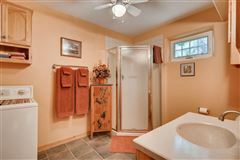 It includes living area, kitchen, office and bathroom. The upstairs living area overlooks the 16’x48’studio which includes 50-amp power and a 14’ electric roll up door. 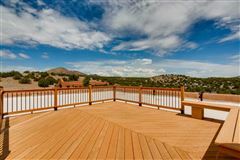 A rooftop observation deck offers 360-degree views and down below the wraparound portal offers breathtaking views. 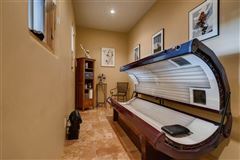 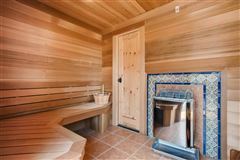 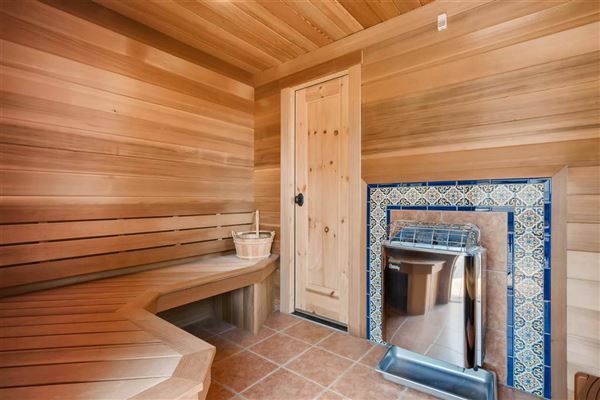 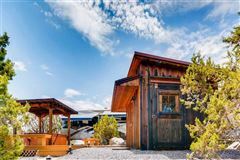 The hot tub and Sauna overlooks the property and there is RV parking with 50amp service, over $2 million invested.